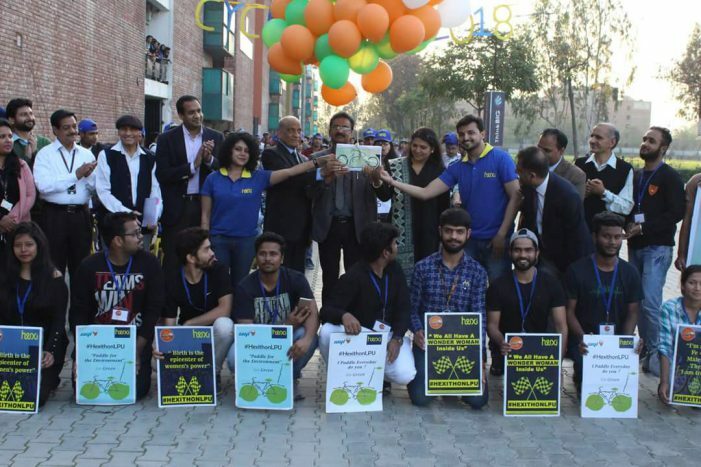 Student Organization Society for Management Learning, under the aegis of Division of Student Welfare successfully organized Cyclothon-2018 on 28th of February powered by Hexi, leaving memories and awareness on healthy living all over campus. 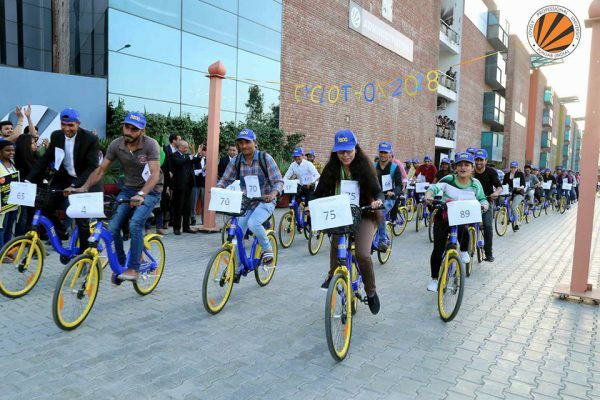 Cyclothon 2018 was inaugurated by Hon’ble Chancellor Mr. Ashok Mittal and Worthy Pro-Chancellor Mrs. Rashmi Mittal. 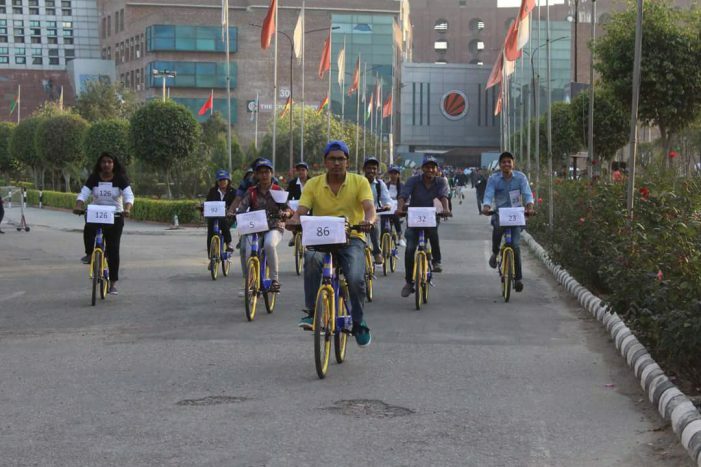 The cyclothon promoted environment-friendly commute and healthy living. 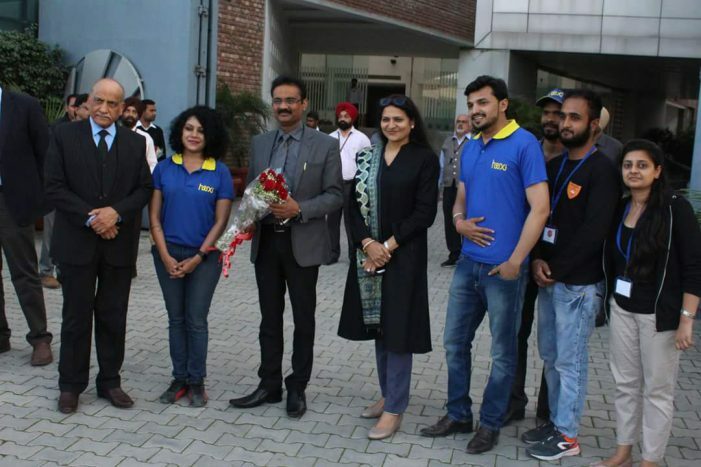 Smiles on the face of Hon’ble Chancellor Mr. Ashok Mittal, Worthy Pro-Chancellor Mrs. Rashmi Mittal, LPU dignitaries, Miss Yeshonil Saini- Sales and marketing Head Hexi, Prateek Garg, Sr. Manager Sales Hexi, participants, members proves that vision behind Cyclothon 2018 was successfully achieved. Hexi Bikes are an eco-friendly and a quick way to commute in the campus. The bikes can be unlocked through their mobile app. Besides, UniMall, Kiosks, lush green surrounding, Hexi Bikes is another addition to the things we love the most about LPU’s Happening Campus.